See one (or more) of three different types of fireflies. Enjoy rose flavoured soft serve ice cream while wandering around rose gardens in full bloom. A festival where you can buy, eat, and try your hand at catching salmon. 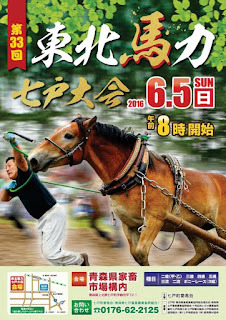 A draft horse racing event where horses pull sleds with weights--some weighing almost 1 tonne!--across a straight track with a slope at the end. A fireworks display set to music. The finale features an 80m-wide "water curtain." 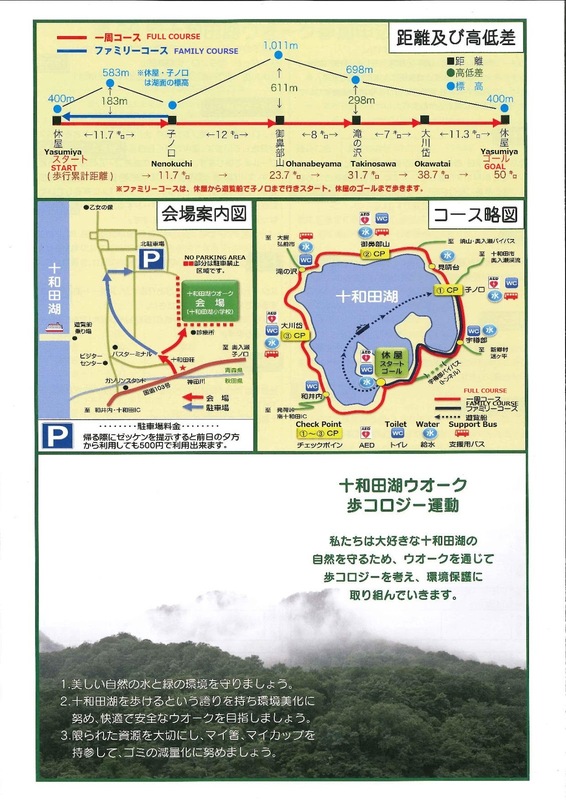 Enjoy nature--the smell of trees and water, the sound of the breeze--as you walk around Lake Towada. Open to all ages, genders, etc. 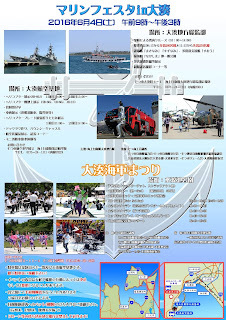 *Family Course participants will go by boat to the course start point (Nenokuchi, 11:45 arrival). 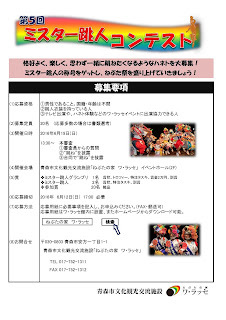 ① Submit registration forms either by mail or e-mail. - For large groups, please attach the information in an Excel or PDF file. - When registering multiple people at one time, please make it clear who is the representative for the group. ③ After the registration information and payment has been confirmed, participants/the group representative will be mailed registration numbers (which double as start order numbers). 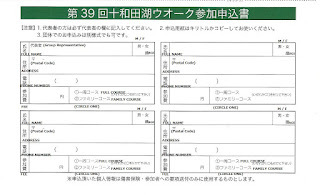 Registration numbers will be assigned in the order that forms/payment are received. You will receive a number cloth at registration. 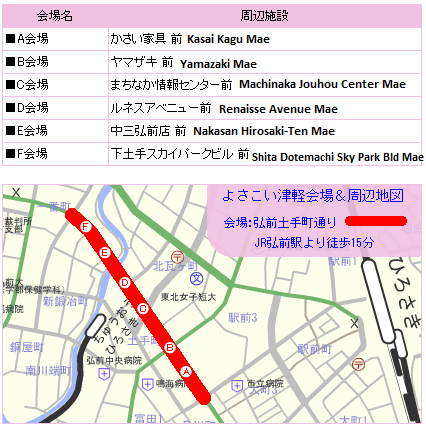 Your number will be checked at various check points (see map) so please wear the number cloth during the event. 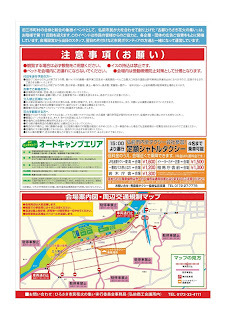 Water (500mk) will be available at various points (see map) along the course. 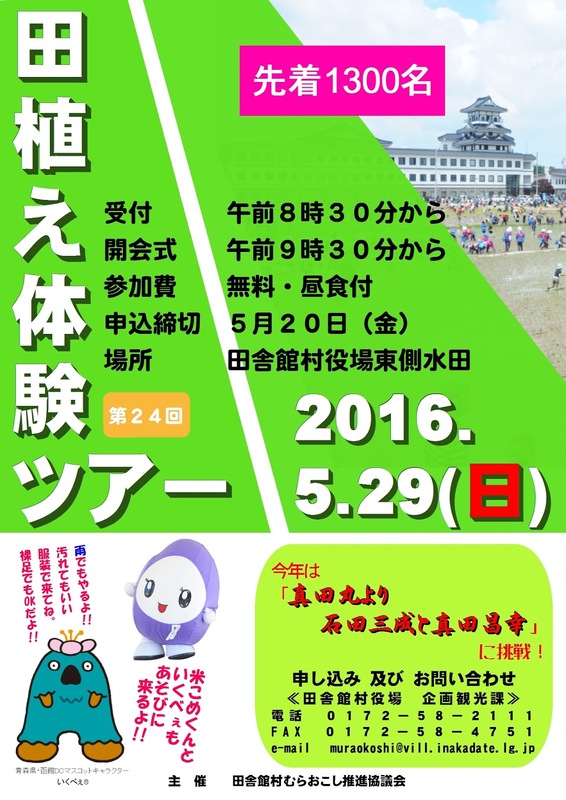 Participants will receive a certificate of completion after finishing the event. Please take your garbage home with you. 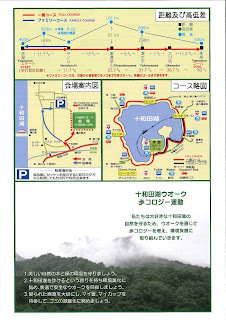 Bathrooms at the start point are expected to be crowded before the event starts, so please leave sufficient time to make use of the facilities if necessary. 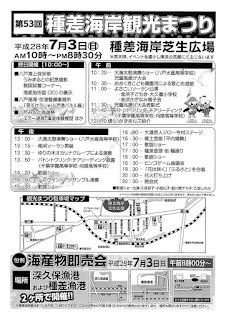 Support Buses (支援バス) are located at various points along the course. If you are unable to continue the walk, you can take the bus back to the goal. 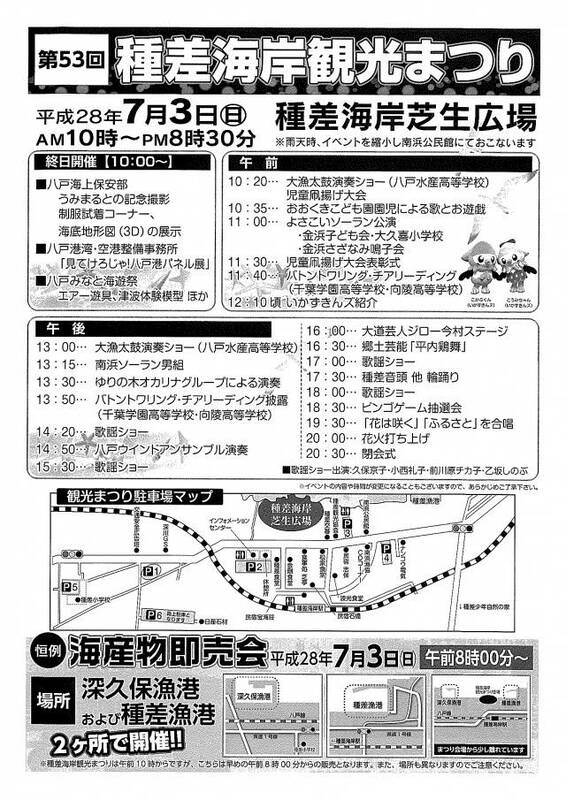 If you do not reach the Okawatai check point by 15:00, you will not be able to complete the course by 17:00 and will be taken to the goal by bus. 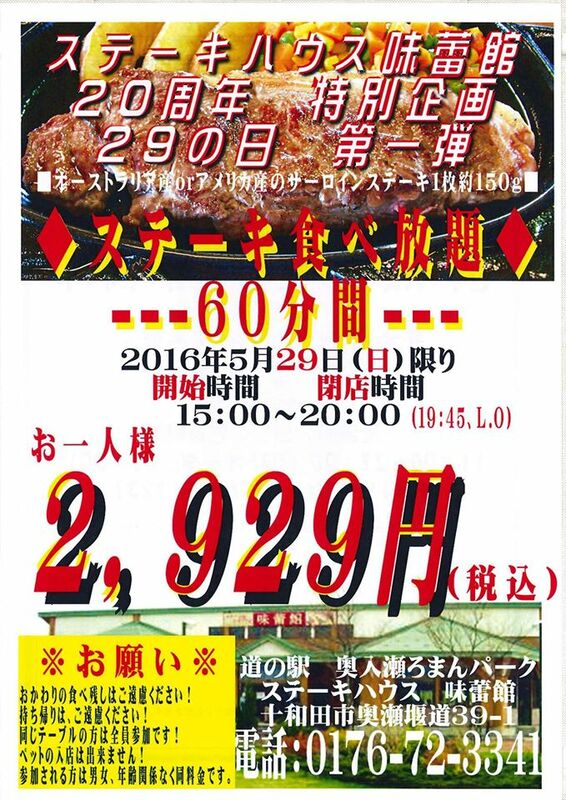 If you show your number cloth upon leaving, the parking fee for the whole day will be only 500yen. 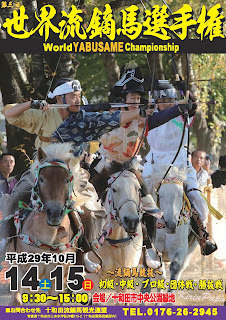 A once-a-year event where you can interact with horses, watch yabusame (horseback archery), and enjoy performances, food stalls, and various other events. 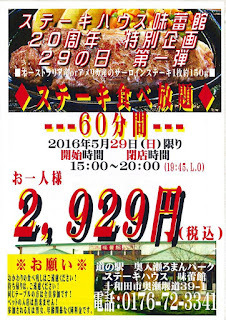 To celebrate the 20th anniversary of the restaurant, Steakhouse Miraikan is offering a special deal on May 29th for "Meat Day"* --one hour of all-you-can-eat-steak for only 2,929yen! An impressive fireworks display of about 5000 fireworks against the backdrop of Hachinohe Harbour. 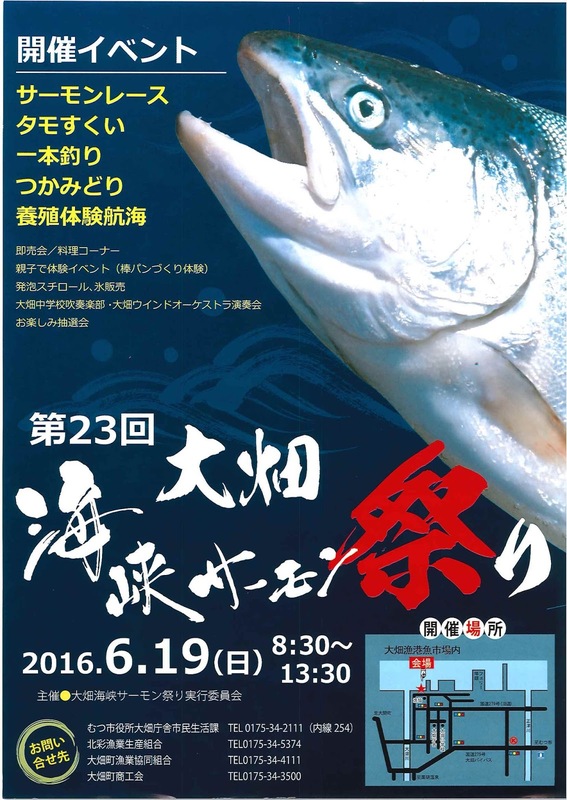 Yosakoi Tsugaru is a mix of Kochi Prefecture's Yosakoi Festival and Hokkaido's Yosakoi Soran Festival. 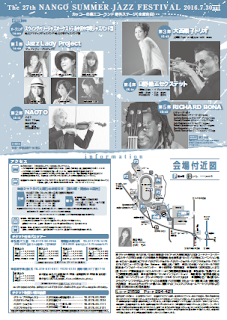 It features a mix of parade and stage style performances along Hirosaki's central shopping arcade, Dotemachi. 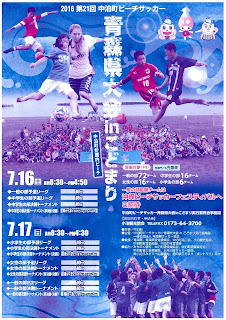 Five-on-five beach soccer tournament in Nakadomari Town. 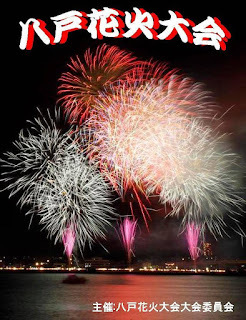 Enjoy fireworks at the beach as a pre-event (前夜祭 zenyasai) for the Aomori Nebuta Festival. 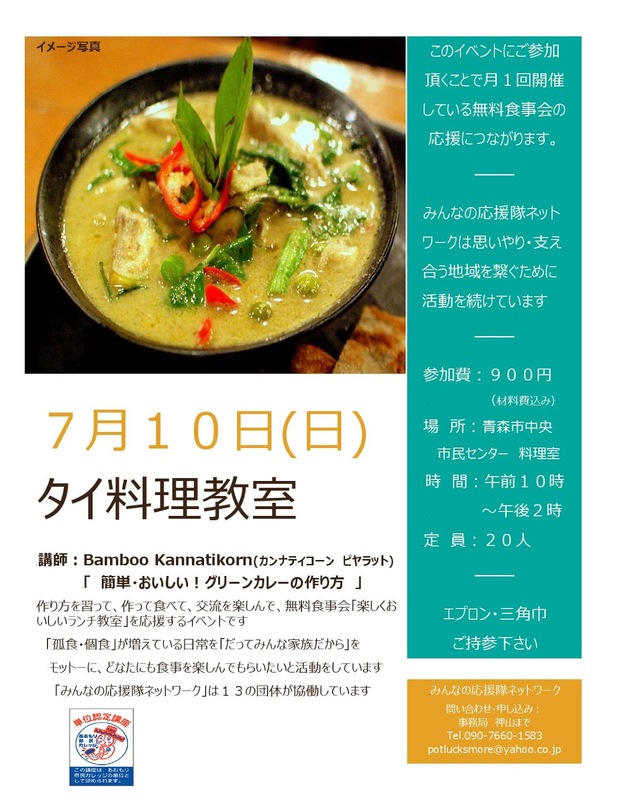 Learn how to make green curry! It's easy and delicious! A contest to find the male Nebuta dancer worthy of the title "Mister Haneto." 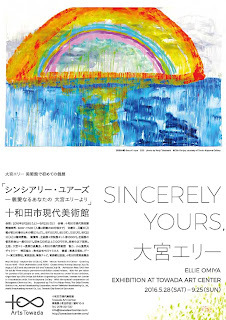 Every picture begins with "Dear" and ends with "Sincerely Yours." I hope there is at least one such picture for everyone. I hope to reach people with my pictures as if I was writing letters. Please accept these pictures--feel something from and read something in them. No replies necessary. 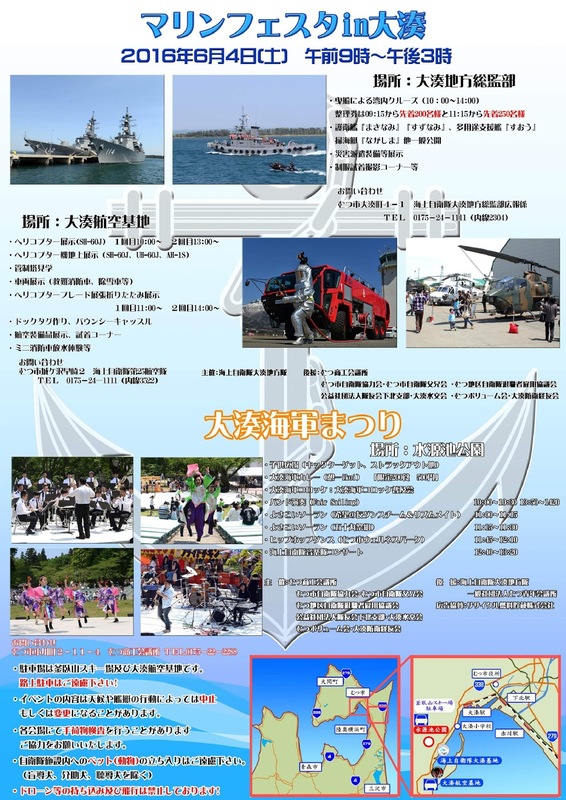 I'm waiting for you in Towada. *Rough translation from part of the Japanese description on the event flyer. 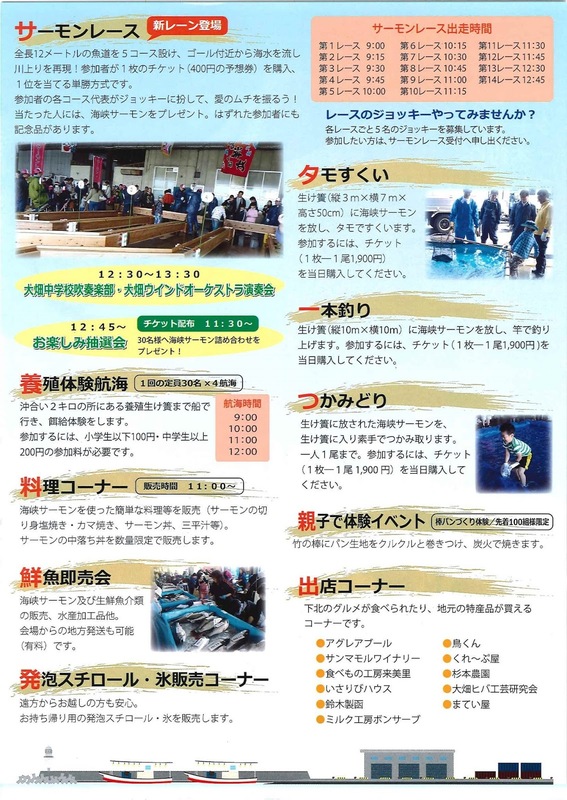 "Misawa's biggest craft event. 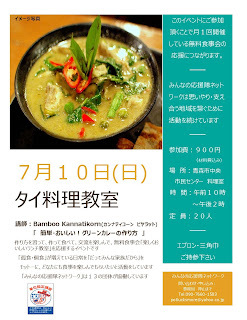 Featuring the best local handmade crafts and foods." 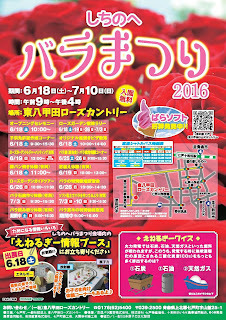 Every June Shingo Village holds the "Christ Festival," an odd event ostensibly held in honour of Jesus Christ but featuring Shinto rituals. Kagami-Style Kiba Dakyu began in 1827 as a means to improve the riding skill of Hachinohe Domain soldiers. It is a prefecturally designated Important Intangible Folk Cultural Property. 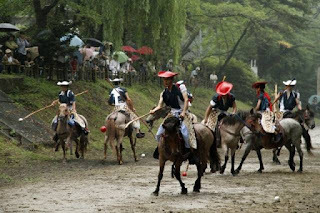 Riders are divided into two teams (red and white) and compete on horseback to catch a ball using a pole with a net and to throw it into the goal. Only three forms of this traditional ancient sport remain today, in the Imperial Household, Hachinohe, and Yamagata City. 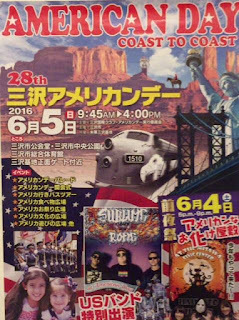 Various events and performances during the day and fireworks in the evening for a fun summer day at the beach! 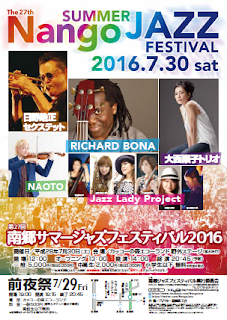 A full day outdoor summer jazz festival. Get food and drinks at the various food stalls available at the venue. Try your hand at planting the rice field that will become rice field art! 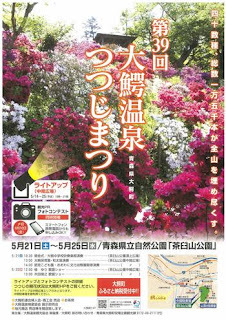 Submission call for photographs taken during the 2016 Owani Onsen Azalea Festival that show the harmony between the Owani Town townscape and its local flower, the azalea. 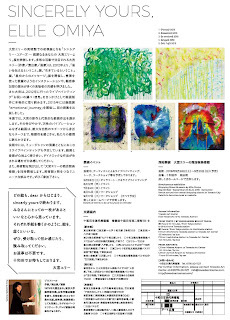 Submitted works will become property of the contest sponsors. Submitted works will not be returned. Contest sponsors reserve the rights to display, publish, and otherwise control the use of submitted works in print, online, and other media. Any personal information submitted will only be used for contest-related purposes. 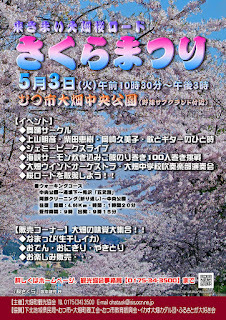 Enjoy various musical performances amidst vivid pink and purple azalea blossoms in full bloom. 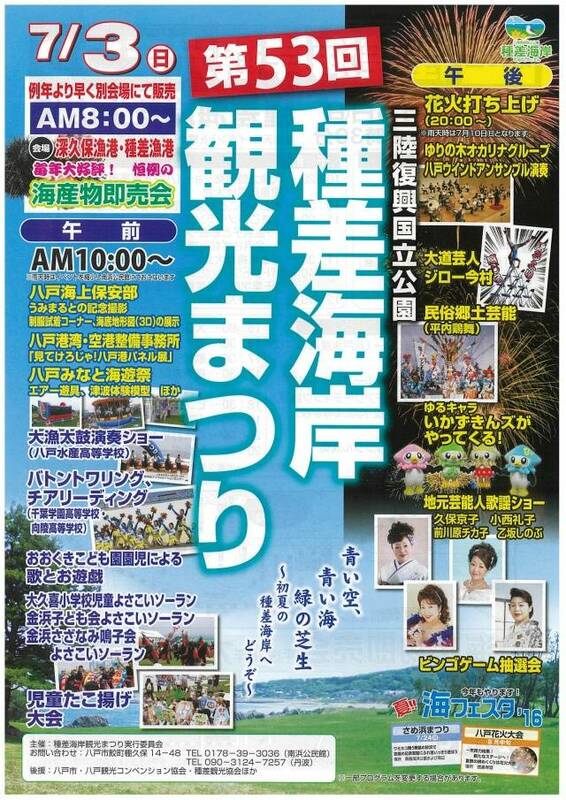 A festival where you can see six major Tohoku area festivals (one from each prefecture) all in one place! 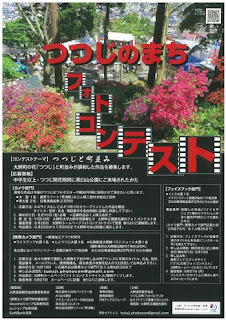 It was created to encourage the revival of the Tohoku area after the Great East Japan Earthquake & Tsunami of 2011. This year marks the sixth and final year of the event. 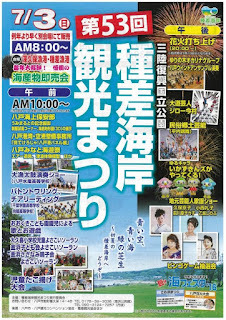 Fireworks masters from across Japan compete in an impressive music and pyrotechnics show at the annual All-Japan National Fireworks Competition (Omagari Fireworks) along the Omono River in Daisen City, Akita Prefecture. 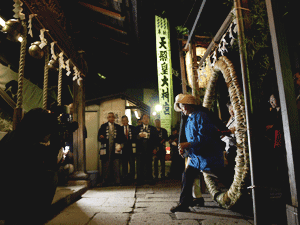 Passing through the "chi no wa," a large ring made of kaya thatch, represents a ceremonial cleansing from the impurities accumulated over the first half of the year and a prayer for good health for the latter half of the year. 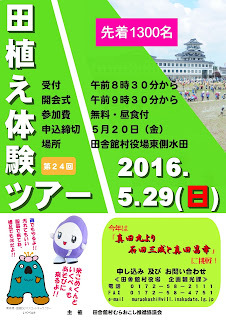 Pre-festival events are held on June 30 while the main festival is on July 1 annually. 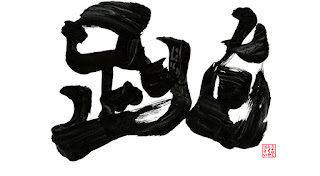 Aiuchi Mushiokuri is a Goshogawara City designated Important Intangible Cultural Property with a long history and which is considered to be a prototypical Tsugaru area Mushiokuri. 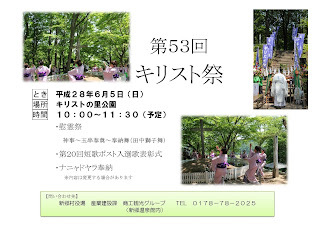 It is held after rice field planting (2nd Saturday of June, annually) and is an event to pray for an abundant harvest and good health for the year. 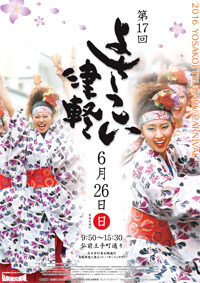 The crucial sword dance of Mushiokuri is said to represent Sakanoue no Tamuramaro's conquest of the Emishi people in Northern Honshu during the early Heian period. Accompanying the large 5-metre-long snake-like straw effigy in the procession are sword-wielding dancers, flute, drum & hand cymbal players, etc. When watching the parade, pay attention to the uniquely shaped (compared to other areas) "swords" as well as the head of the effigy. 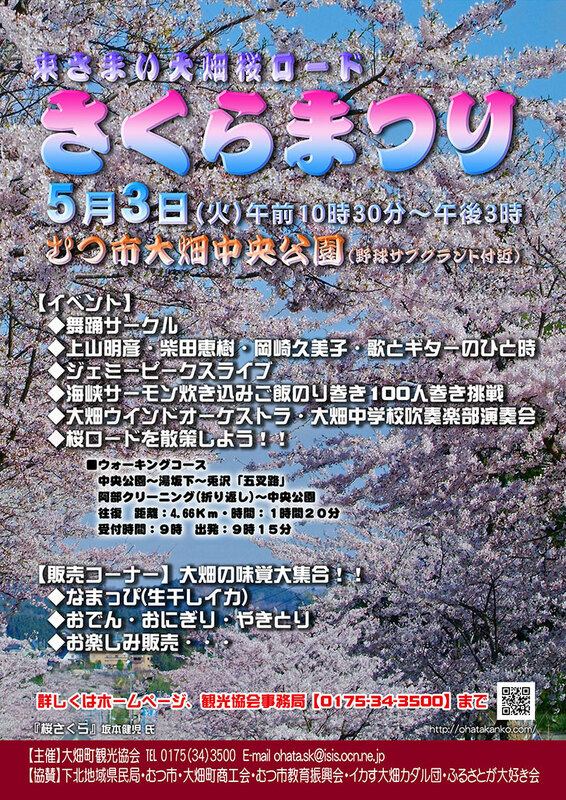 Food sales, performances and a walk along one of the most popular cherry blossom lined roads in Aomori Prefecture. 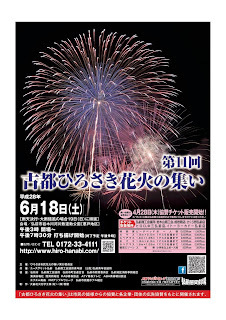 Enjoy an evening of fireworks by Iwaki River in Hirosaki City.